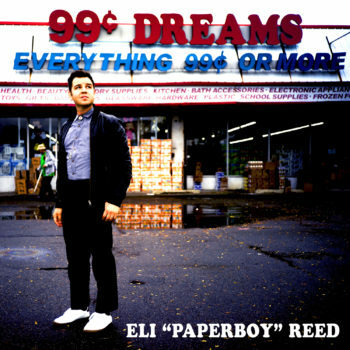 Eli Paperboy Reed announced new single “Bank Robber” from his upcoming album 99 Cent Dreams – out April 12 on Yep Roc! Eli Paperboy Reed‘s “Bank Robber,” was produced by Matt Ross-Spang at the Legendary Sam Phillips Recording Studio in Memphis, TN. The Memphis sound shines through in the soulful groove, slinky piano line and horn blasts throughout. Eli wrote the track with Aaron Frazer of Durand Jones & The Indications. This is the first song to be released from Eli’s upcoming album 99 Cent Dreams – available for pre-order now!